Sweden is a land of incredible contrasts, from the dense pine forests and craggy mountains of the north, to the rolling hills and glossy golden beaches of the south. But the diversity doesn't stop at the suburbs, with each of Sweden's seven major cities boasting its own character, history and unique architectural style. Bordered by Denmark to the south, Norway to the west and Finland to the east, Sweden, the largest of the Scandinavian countries, boasts a long mercantile history that has made it one of the most culturally open and welcoming in Europe. The instantly likeable capital Stockholm has long been synonymous with style and its sharply tailored brand of chic has percolated throughout the wardrobes of the world. Hipsters notwithstanding, Stockholm, with its 14 islands and medieval beauty, has much to offer those in search of culture, art and historical treasures. However, perhaps the most surprising city is Malmö, which has belied its unfairly grim reputation to become one of the country's liveliest destinations. Beyond the cities, Sweden's countryside has a gentler charm than the rugged landscapes of neighbouring Norway. Much of Sweden is forested and there are thousands of lakes, including the large stretches of water between Gothenburg and Stockholm. The border with Norway is home to the spectacular Skanderna (Scandinavian) mountain chain, while in the far north you'll find wonderfully bleak Arctic tundra, where you can see the Northern Lights. The south is dominated by emerald forests, the cerulean waters of the Gulf of Bothnia and the jagged Baltic coastline. Of all the lovely spots in Sweden though, the awe-inspiring panoramas of the Stora Sjöfallet National Park take some beating. Part of the UNESCO-listed Laponian region of northern Sweden, the park's majestic waterfalls, soaring peaks and crowded clumps of fir trees make it one of the country's greatest natural treasures. The Swedes are proud of their green country and believe the great outdoors should be available to everyone. Allemansrätten – the everyman's right – is a constitutional right that allows the public access to public and privately owned land for recreation. As long as you do not disturb or destroy nature, or infringe on the privacy of others (such as by walking too close to their house), you are free to roam the countryside. This right even allows people to pick wildflowers, berries and mushrooms – unless they are endangered. 449,964 sq km (173,732 sq miles). King Carl XVI Gustaf since 1973. Prime Minister Stefan Löfven since 2014. More than 850,000 British nationals visit Sweden from the UK each year. Most visits are trouble-free. If you need to contact the emergency services in Sweden call 112. If you’re living in or moving to Sweden, visit our Living in Sweden guide in addition to this travel advice. If you’re travelling to Sweden to do business or provide services, see further guidance on providing services in Sweden after EU Exit. Terrorists are likely to try to carry out attacks in Sweden. You should remain vigilant and follow the advice of local authorities. Crime levels are low although there is some petty crime. Violent crime does occur; instances of gang related crime, including shootings and explosions, have been reported in Malmö and Gothenburg. Pick pocketing can be a problem in the major cities when tourists are targeted for passports and cash. Sweden deals with its harsh weather very well, but delayed trains and flights are difficult to avoid during severe weather conditions. Snow and ice on the roads cause accidents daily. Consider starting your journey earlier to avoid rushing to your destination. Be prepared for harsh conditions particularly in the north during the winter. If the UK leaves the EU without a deal, you may need to get an International Driving Permit (IDP) to be able to drive in Sweden and other EU/EEA countries as a visitor. If you’re living in Sweden, check the Living in Guide for information on requirements for residents. From 1 December to 31 March and when weather conditions are wintry, all Swedish and foreign registered vehicles, both light and heavy, are required by law to have either studded tyres or un-studded friction tyres bearing the following mark, M+S, M-s, M.S, M&S, MS or Mud and Snow. The road conditions are considered to be wintry when there is snow, ice, slush or frost on any part of the road. The Swedish police decides whether there are wintry conditions on a certain road. In 2017 there were 253 road deaths in Sweden (source: Department for Transport). This equates to 2.5 road deaths per 100,000 of population 7. In Sweden everyone travelling in a car is required to wear a seat belt. Children who are shorter than 135cm must use a special protective device – either a baby car seat, child car seat, booster seat or booster cushion. All long-distance buses are equipped with seat belts, which passengers are required to use by law. Bicycle helmets are mandatory for children under 15 (but not for adult cyclists). It’s illegal to use a mobile phone in your hand when driving. See the European Commission, AA and RAC guides on driving in Sweden. You can find information about rail travel on the website of the Swedish train operator SJ. You should check carefully whether any offers of employment for asphalting or seasonal work are genuine. Contact the British Embassy in Stockholm for further advice if necessary. Terrorists are likely to try to carry out attacks in Sweden. Attacks could be indiscriminate, including in places visited by foreigners. There are heavy punishments for importing illegal drugs. All forms of physical punishment of children have been outlawed since 1979 in Sweden. Sweden was the first country in the world to introduce legislation of this kind. Any public action with the potential to be interpreted as physical punishment is likely to, at minimum, attract strong criticism from on-lookers. You should check with the Swedish Embassy what type of visa, if any, you will need. 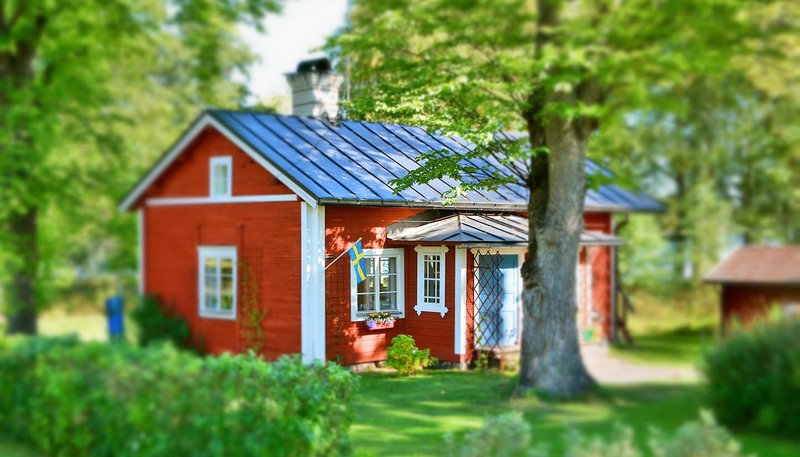 If you’re planning a stay of longer than 3 months, see our Living in Sweden guide and contact the Swedish Embassy if you have further questions. UK Emergency Travel Documents (ETDs) are accepted for entry, airside transit and exit from Sweden. If you’re travelling with children other than your own you should carry a letter of consent from the child’s parent or guardian. If the UK leaves the EU without a deal, access to healthcare for British nationals travelling or living in the EU, European Economic Area (EEA) and Switzerland is likely to change. More information about healthcare for UK nationals living in and visiting Sweden is available on the NHS website. The EHIC entitles you to state provided medical treatment that may become necessary during your trip. Any treatment provided is on the same terms as Swedish nationals. If you don’t have your EHIC with you or you’ve lost it, you can call the Department of Health Overseas Healthcare Team (+44 191 218 1999) to get a Provisional Replacement Certificate. The UK government has or is seeking agreements with countries on healthcare arrangements for UK nationals after the UK leaves the EU. The NHS website and this travel advice will be updated with further information on travelling to Sweden as the circumstances change. If you’re living in Sweden, you can also find more information on healthcare for residents in our Living In Sweden guide. Pharmacies are usually open during normal shop opening hours. You can also get an emergency prescription at hospitals. If you’re visiting remote areas, consider the relative inaccessibility of the emergency services. The currency for Sweden is Swedish Krona, not the Euro.